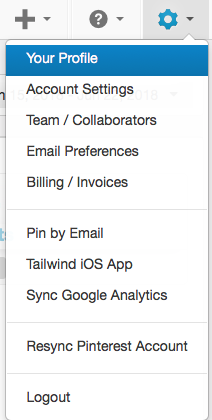 Updating your Credit Card in Tailwind is easy, click the button or follow the steps listed! 1. Go to your Your Profile (located in the settings menu in the top right hand navigation). 2. Click the "Update Billing Info" button just to the right of your current information. 3. You'll be taken to a new page to securely enter in your new credit card and update.